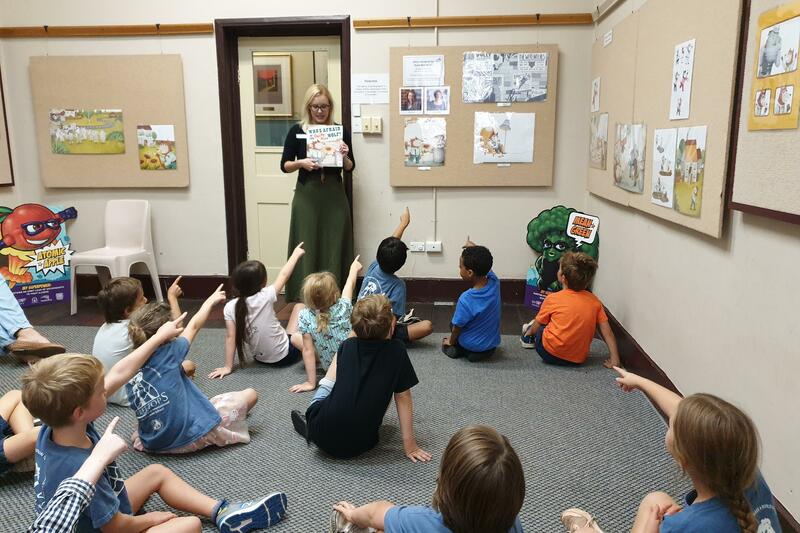 The Literature Centre (TLC) is a not-for-profit organisation in Fremantle which nurtures quality Australian literature for children and young adults throughout Western Australia, and promotes established and emerging authors and illustrators nationwide. This end of financial year we need your donation. Our ‘Friends of The Literature Centre’ initiative was launched in 2015 to formalise a programme for donors, fundraisers and volunteers passionate about supporting Australian children’s and young adult literature and our country’s authors and illustrators. Our Centre and our range of programmes are unlike anywhere else in Australia. We are a haven for those interested in children's and young adult literature. Testimonials from teachers, students, parents, authors and illustrators all indicate the valuable contribution we make in the community, and the profound effect our programmes can have on individuals. We'd love you to feel a part of this. Making a 100% tax-deductible donation to TLC is now easier. We thank you for helping us ensure Australian stories are nestled in the hearts and minds of young people for generations to come!